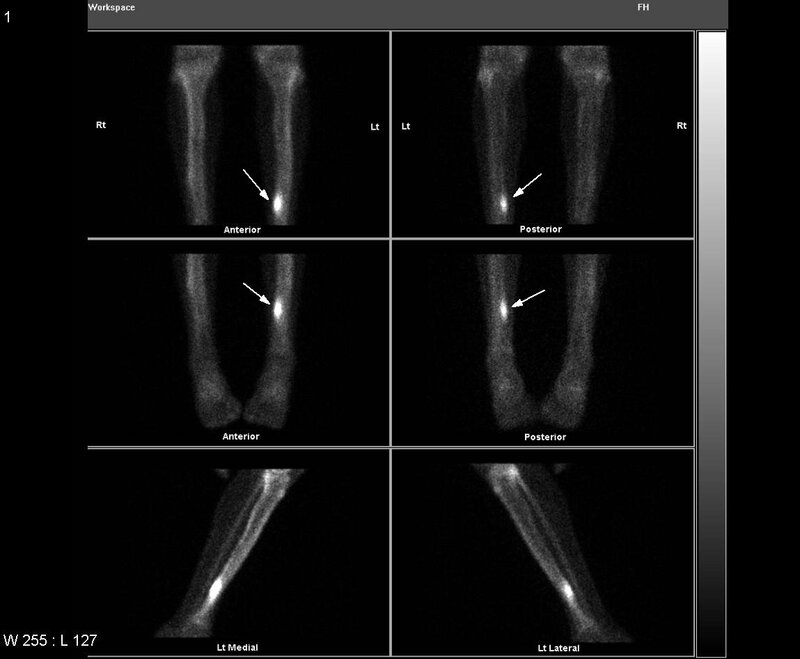 This pathway provides guidance on the imaging of adult patients with suspected stress fractures. 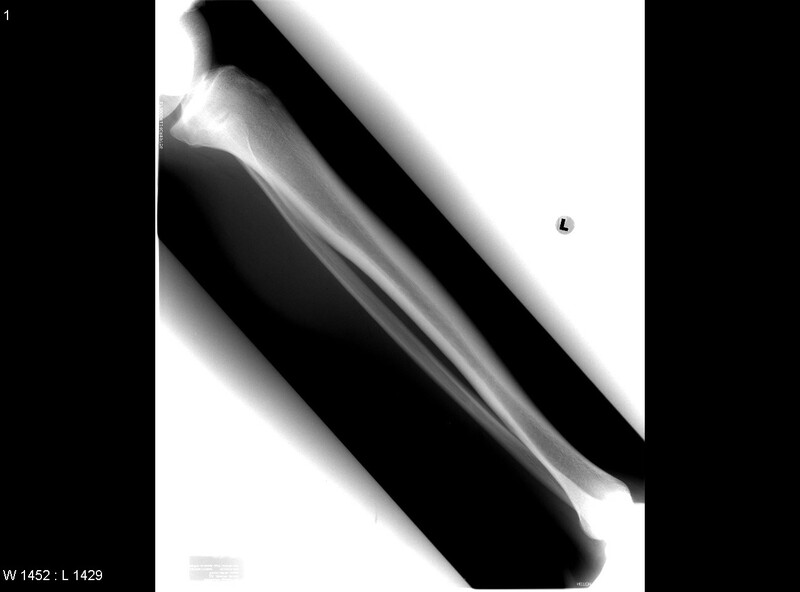 Image 1a (Plain Radiography): Normal x-ray in 18 yo male with medial tibial pain. Image 1b (Bone Scan): Delayed phase of bone scan showing focal uptake in the posteromedial cortex typical of a stress fracture (arrow).